Clogged skin pores could make you susceptible to whiteheads, blackheads, and acne. Maintaining a good skin hygiene and exfoliating your skin often would help leave your skin pores free from dirt, oil, and dead skin cells. Steam helps to open up the facial pores to push out any dirt and debris trapped inside the pores. Unlike other remedies, it requires no specialized equipment or ingredients other than steaming water. Before you use the steaming method, pull the hair away from your face and tie with a hair band. Then, fill a basin with hot water (not warm), cover your head with a towel and then lean over the steaming water for 10-15 minutes. The steaming method will not only keep the pores clean but would also rejuvenate the skin. Make sure you don’t splash the hot water on your face. This volcanic ash works like a sponge by drawing out the impurities from the skin. It’s especially effective in unclogging pores on the face, nose, and cheeks. For this remedy, make a paste by mixing one tbsp of oatmeal with one tsp of bentonite clay and some water. Next, apply the mask on the face for 15 minutes, clean it off with warm water, and then moisturize your skin thereafter. To ensure the skin impurities are absorbed well, you could add activated charcoal. This yellow-brown liquid is not only sweet but also comes with numerous health benefits. It hydrates the skin and works as a natural antibiotic which makes it effective in unclogging pores and removing germs. Thirdly, honey has a pH of less than 4.5 which is too low for most bacteria to thrive. Simply massage raw honey on the skin, leave it for 10-15 minutes and then wash off with warm water. Alternatively, mix two teaspoons of honey with a pinch of ground cinnamon, spread it on the problem area and wash with cold water. To nourish your skin, use the mask 1-2 times a week. Sugar is a natural exfoliating agent that aids in unclogging skin pores. The good thing is that sugar is right in your kitchen. To prepare this facial scrub, crush 2-3 tbsp of sugar into a fine powder, and then add some water/lemon. Massage your face for 5-7 minutes and rinse with tepid water. Next, apply an oil-free moisturizer. For best results, use the sugar scrub once a week. Baking soda has mild abrasive properties that aid in removing dirt from the pores. The mild basic and gritty texture makes it a gentle exfoliant. To make a deep pore cleanser, mix two tsp of baking soda with one tbsp of water to form a smooth paste. Leave it there for 5-10 minutes, rinse with lukewarm water and pat dry with a soft towel. You can also combine two tsp of baking soda with one tsp of cinnamon and some lemon juice. Once you mix the ingredients, apply on your face in circular motion. Leave it for five minutes and then wash off. This is brushing your skin to unclog blocked pores while exfoliating the dead skin cells. This technique increases blood circulation and stimulates the lymphatic system. To start, clean your face with a makeup remover. Then, wash your face with a brush while being cautious of the skin around the eyes. Once done, clean the face with cold water and apply a moisturizer. Although the skin might look pink, it should not be irritating. Jojoba oil has become a common ingredient in most cosmetic products. Jojoba oil contains vitamin E which is an antioxidant that protects the skin against the harmful effect of free radicals. Secondly, it’s packed with fatty acids which resemble human sebum. If you have clogged pores, simply apply a thin layer of jojoba oil on your skin and begin the purging process. Egg whites have complexion-enhancing and skin-toning properties. Besides tightening the skin pores, egg white mask helps to remove dirt and debris from the pores. To prepare the mask, whip an egg and keep it in the refrigerator for five minutes. Then, mix the egg white with some lemon juice and apply on the clogged pores for 10 minutes. After that, wash off with mild soap and warm water. Use this egg mask remedy twice a week to keep the pores clean. This clay helps to unclog blocked pores, absorbs excess oil, and balances the skin pH. Just prepare a thick paste by mixing two tsp of fuller’s earth with some oatmeal and then add some water. Apply on the face and wash off with clean water. You can also mix equal amounts of sandalwood powder with fuller’s earth and then add some water. Apply the pack on your face, allow it to dry naturally and then rinse with warm water. 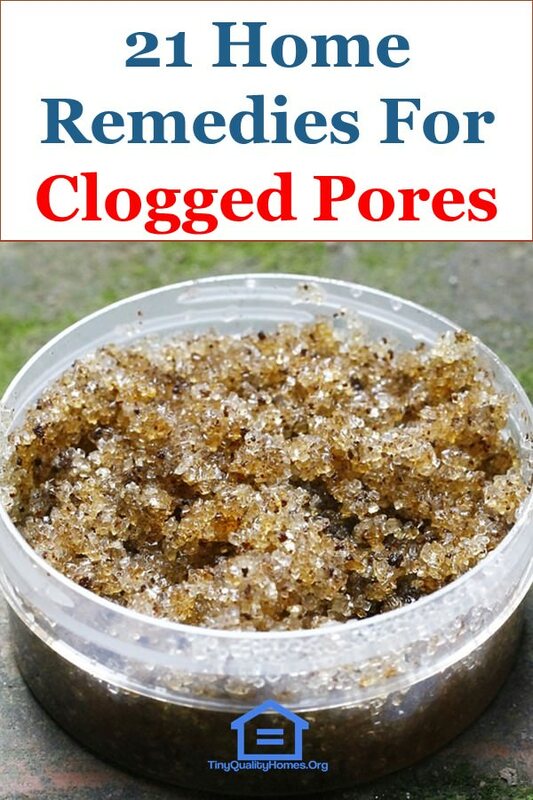 This remedy is not only the simplest but also the most effective in removing oil and dirt from clogged pores. Since lemons contain citric acid, they can exfoliate your skin naturally. Just apply a freshly-squeezed lemon juice on the face for five minutes and wash with warm water. Then, dry with a clean towel and apply a mild moisturizer. Alternatively, mix equal amounts of table salt, lemon juice, and yogurt. Scrub it on your face for five minutes and rinse off with tepid water thereafter. Besides being an effective moisturizer, grape seed oil contains linoleic acid and vitamin E which help to unclog blocked pores. Just apply generous amounts of the oil on your skin pores and rub in a circular manner. Wash off with water and mild soap, and then pat dry. Oatmeal contains saponin, a component that aids in sucking out accumulated dirt and impurities. Furthermore, oatmeal works as a natural absorbent that helps to reduce acne and blackheads. Due to oatmeal’s mild abrasive nature, it does not cause any damage to the skin. Make your own paste by mixing half a cup of cooked oatmeal with one tsp of olive oil and apply on your face for 15 minutes. Next, wipe off with a wet cloth and rinse with cold water. Use the paste 1-2 times a week until you get the desired results. Papaya is loaded with papain which has skin-friendly properties. Additionally, it works as a natural exfoliant by removing the dead skin cells. Besides removing the impurities (dirt and oil), it gives a radiant, glowing skin. Simply take a raw papaya pulp, spread it on the skin for 10-15 minutes, and then wash your skin with cold water thereafter. Yogurt contains lactic acid which helps to remove dead cells and impurities from the face. Besides that, yogurt reduces skin blemishes and tightens the large pores. To get rid of clogged pores, apply some yogurt on the problem area, leave it for about 10-15 minutes, and then wash off with warm water thereafter. Being a natural astringent, this herb helps to treat numerous skin conditions including facial blemishes and acne. It works by pulling out impurities and toxins from the skin. To make a face cleanser, steep a handful of parsley leaves in a bowl of boiling water for 10-15 minutes and then strain the solution. Next, soak a clean cloth and hold it on the affected area for 10 minutes. 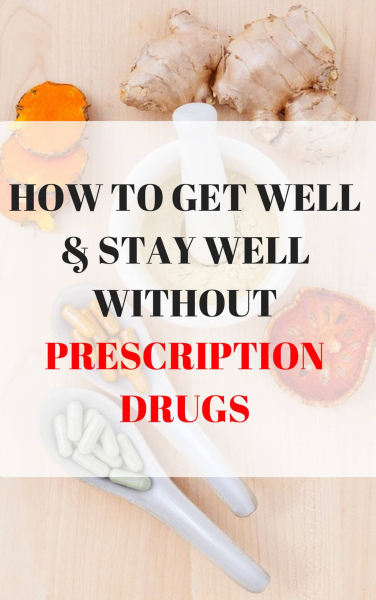 When you use this remedy on a daily basis, you’ll see positive results after 2-3 weeks. Although it may seem a little unusual, avocado oil is an excellent skin exfoliator. It contains beta-carotene, an antioxidant that helps to reverse the oxidative damage on the skin. For this reason, you should apply the oil on the skin to unblock the pores and remove the dead skin cells. Before you apply the mask, make sure there are no oils or grease on your face. Cinnamon has anti-inflammatory and antimicrobial effects on the skin which makes it effective in unclogging blocked skin pores. Furthermore, cinnamon helps to reduce irritation and promotes quick skin repair. To prepare the mask, mix four tsp of cinnamon powder with three tablespoons of honey. Then, apply it to the problem area for 20 minutes and then wash off with warm water. Cinnamon is especially effective in unclogging pores on the chin and forehead. Hempseed oil is a potent remedy for clearing clogged pores. It has 60% linoleic acid which regulates sebum production. Apart from cleansing the skin, hempseed oil is a powerful moisturizing agent and is safe on an acne-prone skin. Before you use hempseed oil, you should clean your face. Then, pour some oil on your palm and rub on the face for 5 minutes. Wash off with tepid water and pat dry. This herb thrives in hot, dry climates. The gel, from the aloe leaves, can treat numerous skin conditions including unclogging of skin pores. Aloe vera also works as an astringent by tightening pores while removing toxins released through the skin. To unclog the pores, apply an aloe gel on your face and then wash off after 20 minutes with cool water. Only use pure Aloe Vera juice since most commercial products that contain the gel may be mixed with other ingredients. Almond is packed with natural antioxidants that kill bacteria in skin pores. Almond also works as a moisturizer which makes it beneficial if you have dry, sensitive skin. Simply make a paste by mixing almond paste with sugar and water and then apply it to your face. ACV offers an array of skin benefits including fading scars, preventing whiteheads, unblocking clogged pores, and tightening the skin. To unblock the pores, dilute one tbsp of apple cider vinegar with some water and spread it on the face using a cotton ball. Allow it to air dry and then clean off with plain water thereafter.